Around this time of year, it is almost impossible to log onto Facebook without seeing pictures of your friend’s Christmas trees and other holiday decorations. While many have boxes full of treasured ornaments that have been in the family for decades, the Telegraph warns that many of these antique ornaments may contain asbestos and may pose a serious health risk. 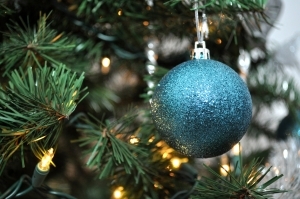 According to the news article, many vintage ornaments could be laced with toxic material. In fact, in the 1940s, the fake snow dusted on many of these ornaments was commonly made from pure asbestos. Unfortunately, there is no way to tell if the material contains asbestos without expensive materials testing at a laboratory. Since most people are not willing to send their ornaments to a laboratory for asbestos testing, in England authorities are recommending any vintage ornaments containing fake snow should be thrown away. This, of course, raises the issue of safe asbestos disposal, but given it the alternative, it seems better than having asbestos on your family Christmas tree. In regard to safe asbestos disposal, it is recommended you contact the state environmental protection agency for disposing of any material suspected to contain asbestos. This fake snow was a white powder sold under brand names such as Pure White, Magic, and Snow Drift and was used by many manufacturers of holiday ornaments during this time period. It was also dusted on Christmas wreaths and other decorations used during the holidays. Our mesothelioma attorneys in Boston wish you and your family a happy and healthy holiday season and urge you to be careful with any vintage ornaments you have may have. While they may have significant sentimental value, it is not worth the risk to your family’s safety. Production of fake snow made from asbestos was stopped during the Second World War because the material was needed to insulate merchant vessels and warships. These practices lead to workers in shipyards and sailors being exposed to the deadly fibers, but they were no longer used in holiday ornaments. Most asbestos fake snow is believed to have been produced in the 1930s and 1940s, though asbestos was still largely used in aspects of manufacturing until the 1980s. While the general public at that time did not know the dangers associated with asbestos, the manufacturers of the fake snow products almost certainly were aware. This product was produced directly from material collected at asbestos mines and was likely just left over dust that was re-purposed as fake snow. It is well known that the industry was well aware of the dangers of asbestos for many years before the general public, but they took great efforts to keep this information secret. In an era before the Internet and mass communications mediums, it was easier to do this. The reason for keeping this information hidden was they did not want to jeopardize profits and knew it would take decades for people to develop the deadly form of cancer. If you are exposed to mesothelioma in Massachusetts, call the Law Offices of Jeffrey S. Glassman for a free and confidential appointment — 1-888-367-2900.